If you want to have an online CV blog then you should check out this page to see what alternatives we have for you. To create your Cover Letter you will make a page for that Cover Letter. To make a Portfolio you will create a blog post for each entry of your Portfolio. And for the Resume you create another page. Pretty easy and if you want to use the theme for a blog that would be great as well. Customize the theme with options for changing all link colors, the color of the sidebar and the color of the sidebar text as well as remove the top header date, author and category links to keep header aspects clean. CV Card is a vCard Theme for your personal purpose. It is like an online CV. It have simple blog ,portfolio and works well with all devices. The theme have 6 custom page template ( About, Blog, Contact, Homepage, Portfolio, Resume ) and custom post type ( Portfolio ). Fully Responsive ( include video too ), Customizable. Using Twitter Bootstrap 3, Microformats and Font Awesome icons. CV Card Theme supports post formats ( audio and video ). Highly specific & opinionated One-Page CV , Your own live Resume, CV online with nothing extra, just the CV/Resume. Amplify is a highly customizable responsive theme meant for individuals or companies that want to create a smashing online presence. Amplify lets you use any font from Google Fonts with custom font sizes, has many color options and provides lots of page templates so you can easily build the website you want. 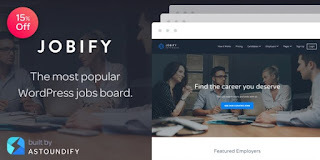 Also, with Amplify you can build a filterable portfolio based on Jetpack Custom content module and you can also build a great resume and skills page. Resume is the first thing your potential employer gets to know about you. So, if you want to get a good job, it should be really cool. Our team made an indepth research and created a CV template for photographer, coder or designer. You see it on your screen now. Awesome, isn’t it? It looks very neat, professional and reveals all your talents in the best possible manner. An infographic style and neutral color scheme make the information easy for comprehension. Recent works portfolio and satisfied customers’ testimonials are available for careful viewing. Even Google Maps and contact form are here for utmost employer’s convenience. We believe that such kind of CV will single you out among competitors. A solid website underlining the aesthetic sense and professionalism is essential for each photographer. To promote your skills and increase the number of clients, consider this contemporary design for online CV. By the way, you can turn it into CV of any employee who needs online page that would work in his/her favor. This one page design with short bio, education information, portfolio and timeline is created with idea to present the persons skills in the best possible way, making him/her a perfect job candidate. Catch the views this is how a well done CV should look like. Being effective and correctly done, it increases odds of candidates. Here is a professional theme that will help you set up a solid online resume, presenting its author at hisher best. Any person will effectively showcase his skills via this modern design with portfolio, timeline, skills sections. The layout makes use of flat coloration for visual division of blocks, making them easy to read. Responsiveness of this theme increases the chances of this CV online reach, cause the would be employers will be able to browse it on the go. Searching for a new job, many people polish their CVs, but only few of them take the importance of online portfolios into account. Designed properly, these tools can influence employers to hire certain candidates without considering any other options. If you want to create a remarkable portfolio on the web, this template will be a boon to you. 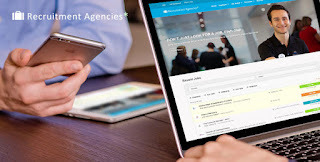 Thanks to its convenient layout, job seekers will easily make a parade of their personal and career details, which will prove they are worthy candidates for available vacancies. Development of your own CV is always important and complicated work. Every great work starts with the presentation of yourself to your employers. Make it memorable and you’ll win. Choose this theme, a cutting-edge CV for a web designer or developer. A photo in a circle, place for a quote, resume button and progress bar of skills it makes use of each piece of layout for presenting creative ideas and telling about its author. Single page design makes content easy to browse. Generally, this style is very trendy. If you want a unique self-presentation, think about this design. All stuff that is necessary for the prosperity of the photographer is a good site with a personal portfolio, resume and blog. This theme is exactly what you need to set up such a website. Colorful combination adds emphasis to subtopics, About section, progress bar and the rest of content. A full-sized photo in the portfolio just commands attention. Big central photo also attracts readers’ interest. Google map offers convenient search of your location. This design has everything to jump above your competitors and make great advertisement of yourself as an artist.